"An accidental discovery of cherry and pineapple combination. On even hotter days, try freezing in popsicle molds for cold, fruity treats." 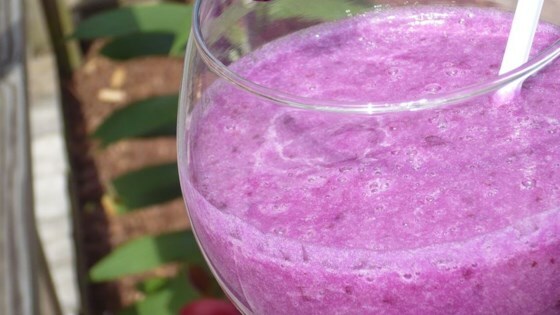 Place the cherries and pineapple rings in a blender. Puree until smooth; pour into 2 glasses filled with ice. I did not care for the texture and the taste was unremarkable. Yummy! I had some cherries that needed to be used up. This was the perfect way. I also blended in some vanilla ice cream, and sprayed some whipped topping on top. Delicious. Kids loved it but I thought the flavor was okay. I didn''t use the ice. Next time, I would use chilled pineapples. Simple, healthy, tasty. Nothing wrong with that!